Summit fever wasn’t exactly a problem in Washington this week. In fact, aside from those with a stake in observing, analyzing and assessing President Moon Jae-in’s summit with President Trump on Thursday, most people hardly notice it. Korea fits beautifully into the game plan. 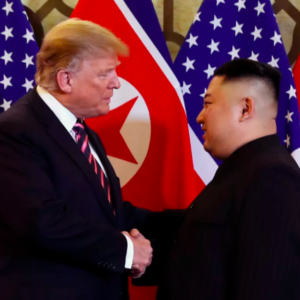 Trump still needs to be the man who negotiated away the North Korean nuclear threat, who set the conditions under which the two Koreas could reunite, who got Kim Jong-un to see the error in his ways and stop terrorizing people, both his own and everyone else. He would love to boast of his success in bringing peace to the Korean peninsula after all the failures and disappointments shared by his predecessors. While strengthening defenses against unarmed, impoverished masses from Latin America, Trump has no idea what to do about Russia and China. He might admire Putin, as he admires Kim Jong-un, but he’s got trouble there. Trump would rather get on the right side of Putin, Xi Jinping too, in the interests of peace and harmony from eastern Europe to the western Pacific. While eager to polish his relationship with Kim Jong-un, he has high hopes of building on past friendships with the Russian and Chinese presidents.